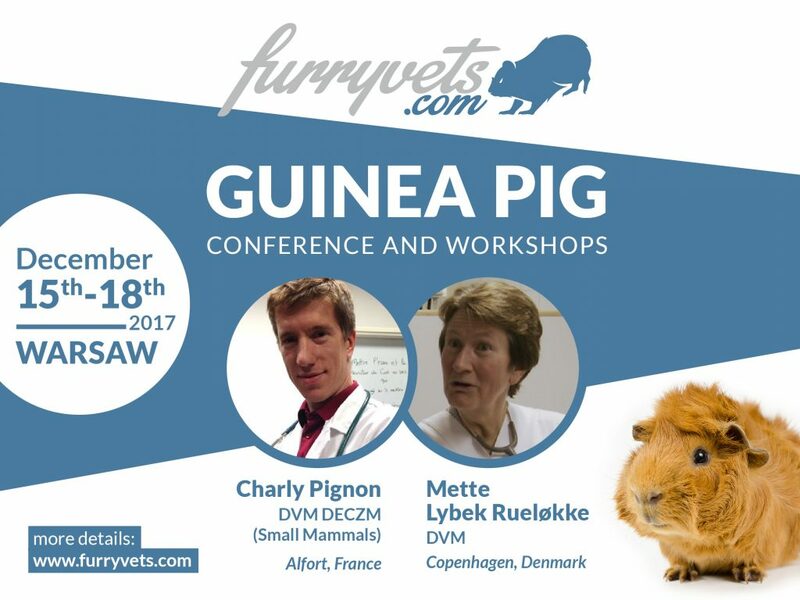 We are pleased to invite you to the first even conference fully dedicated to the diagnostics and treatment of guinea pigs. The event will be held at Airport Hotel Okęcie in Warsaw, 5 minutes from Chopin Airport. We will host two extraordinary experts in this field - Charly Pignon and Mette Lybek Ruelokke. Details can be found in the CONFERENCES tab. The conference will take place on 16-17th December. On the pre-congress day on 15th December we prepared for you two wet-labs with Dr. Charly Pignon - dentistry with head surgery and soft tissue surgery which will be held in CEMED. After the congress, on Monday morning 18th December we invite you to interactive masterclass with Dr. Mette Lybek Ruelokke - round table discussion in proceedings and differential diagnosis in selected cases sent by our participants.